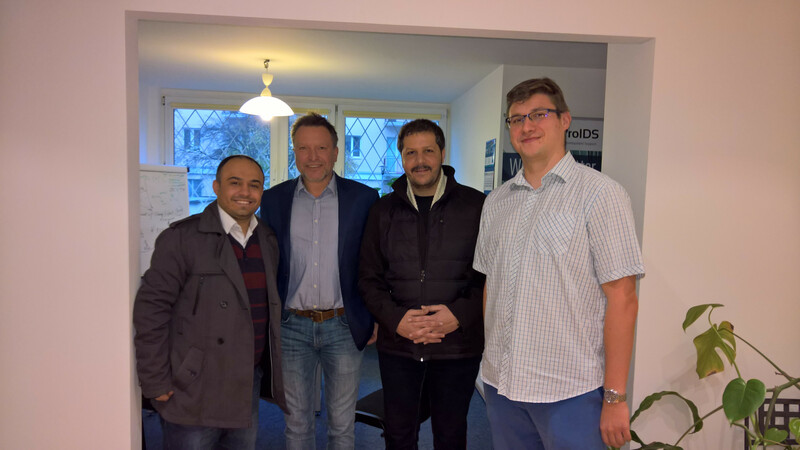 On November 11, 2016, Mahmoud Al-Sharif and Yazan Al Masa’fah from Unifonic visited our office in Warsaw. Mahmoud is an CEO, and Yazan is Marketing and Products Director of a Jordanian-based Mobile Virtual Network Operator, Unifonic. This is a cloud-oriented MVNO company, providing SMS and Voice services, exposing APIs for more than 5000 Customers.